January 15 – The issue of broadcast piracy has arisen at the Asian Cup in the UAE where the AFC has issued a statement condemning Tele Liban for rebroadcasting matches without having paid for the rights. The Lebanese Minister of Information were Melhem Riachi (pictured) has forcefully denied that they are the law saying that they are within their rights to televise Lebanese national team games, even though they have not paid a fee. “We have never broken and never will break international copyright agreements,” he told Insideworldfootball. State broadcaster Tele Liban has broadcast Lebanon’s first two group games which they lost against Qatar (2-0) and Saudi Arabia (2-0). They will be in with an outside chance of qualification if they beat North Korea on Thursday. In its statement the Asian Football Confederation (AFC) said it “condemns the pirating of matches of the AFC Asian Cup UAE 2019 by Lebanon TV (Tele Liban) and has ordered that the practice must stop with immediate effect. It is highly unusual (pretty much unheard of) for a public broadcaster to refuse to pay any fee for broadcast rights, not even a production fee to cover the costs of creating the pictures and distributing them, unless by prior agreement with the rightsholder. “We are only broadcasting in Lebanon our national team games and it is our right. We have full sovereign rights on Lebanese TV. We have no problem with beIN Sport but we insist to apply our rights,” said Riachi. Tele Liban paid for TV rights for the 2018 World Cup for what is understood to be $10 million – a huge fee for that TV market. Those rights were sold by a third party broker in Lebanon on behalf of rights holder beIN Sport. Lebanon did not qualify for the 2018 World Cup. The Asian Cup rights are sold by Lagardere Sport. 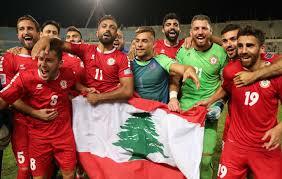 The focus will now be on Lebanon’s crucial third match and whether Tele Liban continues to pirate the satellite signal.